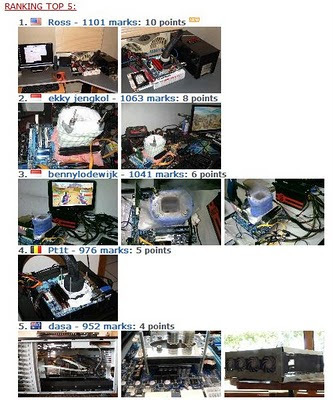 The competition is really heating up over at HWBOT during the final week of GIGABYTE H55/H57 IGP OC Challenge. We are finally starting to see a lot of subzero rigs and look at them go crazy with those pour little IGPs getting tortured left, right and centre. Intel GMA HD Clarkdale World records are getting smashed with every new entry. If you havent joined in the fun yet now is the time to do so to get a chance to win some prizes either by winning or just participating.